What is butter squash? Also known as Cucurbita Moschata, it is a lesser known fruit that grows on a vine and is originated from central America. Although more commonly known as butternut pumpkin in Australia, it is a fruit that needs to be eaten just when it becomes ripe. Its color will turn orange and taste sweeter when ripe. Butternut squash is a very nutritious fruit. It is not only high in fiber, but also rich in vitamin A and vitamin C and numerous other minerals such as manganese, magnesium and potassium, potentially making it a very healthy fruit. This unique fruit is often used for cooking as well as in a wide range of other dishes such as soups, curry and even in baking where it is often wrapped in aluminium foils and baked together with cinnamon and nutmeg. Although many people stay away from butternut squash because of all the troubles involved, for instance, it requires removing the skin and the seeds before cooking, but if you have a good peeler and knife, the process is often quite simple as it won’t take you more than a couple of minutes to get it ready for cooking. 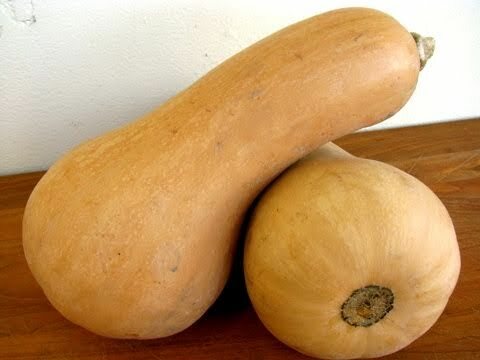 Despite that there are some markets that sell butternut squash in an already skinned off and seeds removed form, it is always better to do it yourself so as to ensure all the nutrients and other goodness are preserved. There are a couple of things that you need to look out for before buying one to eat. Firstly, it should weight slightly more than 2 pounds (or about 1 kilogram), as anything more than that will dilute its taste. Additionally, remember to check the skin color of the fruit too. It should be completely yellow to orange in color with no space for green. Also, when you knock the fruit with your knuckle, it should produce a hollow sound. Make sure it isn’t too soft either. So arm yourself with these tips when you go shopping for one. While buying a butternut squash is easy, storing it is another thing that you need to look into. When it comes to storing butternut squash, it is best to avoid putting it in the fridge right away the moment you reach home as the moisture that is still contained within could cause it to become moldy and rot. Usually the best way of storing butternut squash is in a dark cool cupboard away from sunlight under normal room temperature. So try butternut squash for dinner today. As there are many home remedies to improve eyesight, one of the best and most widely known effective remedy is to consume blueberries.